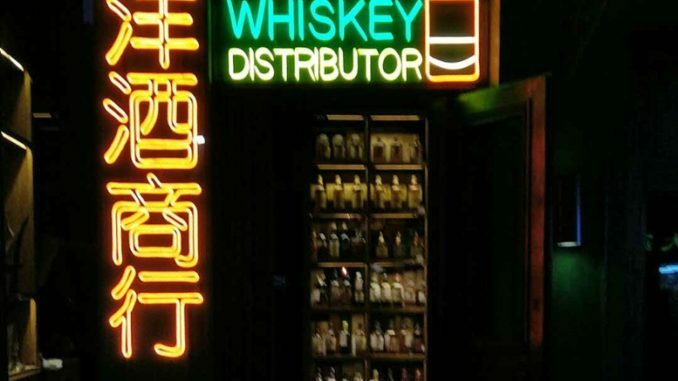 By Jim Boyce | Craft beer is like Chinese wine: Confucius says one must suffer a sea’s worth of samples to find a few good drops. That’s what makes beer festivals helpful: an awful lot of tasting is possible in a short time, even if it means sweaty crowds for a few hours and hoppy burps for a few days. 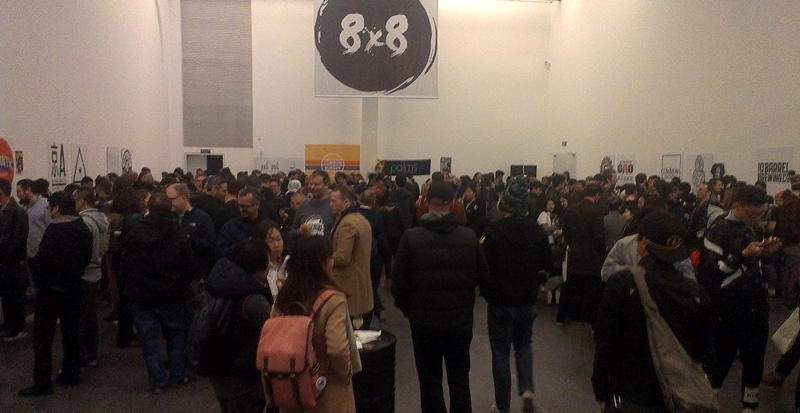 Anyway, I got an invite to 8×8 China Brewing Project in the 798 art district last weekend and joined the Saturday afternoon session. 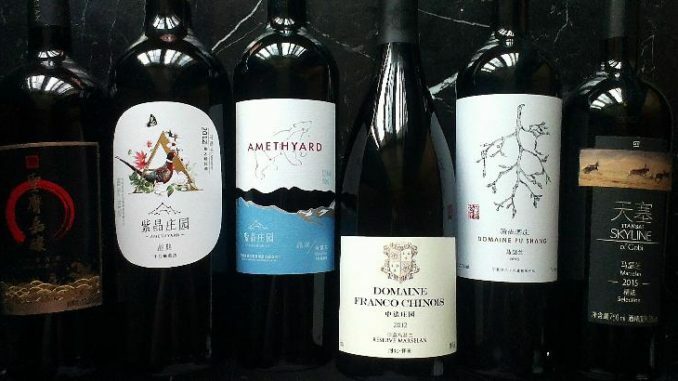 Jing-A Brewing paired eight producers from northwest U.S. and Canada with eight from Beijing, Chengdu, Chongqing, Hong Kong, Nanjing, Taipei, Wuhan and Xiamen. Each brewery poured two of its own beers and one “collaboration” brew. I reached the event from UCCA gallery via a dim construction passage: metal plating clanked underfoot while workers sent grinder sparks flying. Set the mood, I suppose. 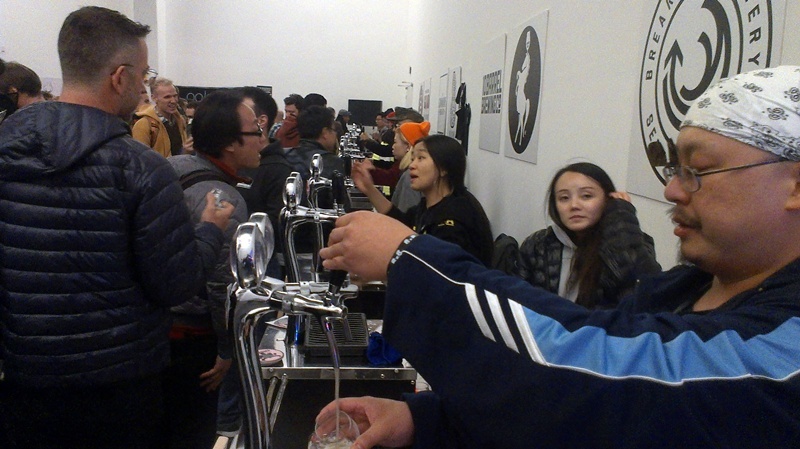 The tasting was in a spartan gallery with hundreds of drinkers, a DJ spinning tunes (vinyl, natch) and a tattooist. There were vendors like Common Burger, Jing-A and L.A. Palms. Word is there was no sour cream for the tacos: talk about an outrage. But there was enough beard hair to stuff a pillow for every orphan helped by—shameless plug—our ongoing Maovember campaign. Also, I attracted a few frowns as I made beer notes, a supposedly uppity act, though I went old school and hand-crafted them with pen and paper. Enough texture. Late, and punch drunk with jet lag, I had less than two hours. I zigzagged about and tasted over half of the 40 beers. I split them evenly between too anemic / hoppy / gross and palatable. I then divided the palatable ones between mama huhu and delicious. Seattle’s Holy Mountain was my favorite. Their Helmsman Dark Mild Ale has a pleasant chocolate coffee character that I thought surprisingly rich for a beer at 3 percent alcohol. 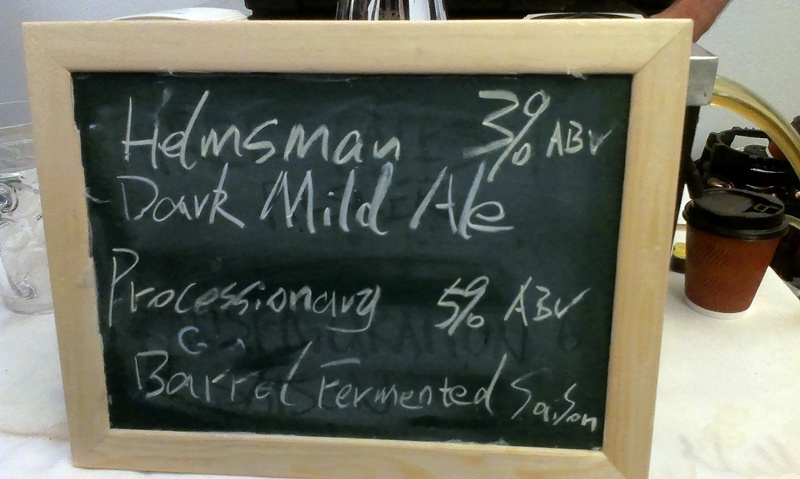 Also delicious was Processionary farmhouse ale, a tart brew that utilized Bourbon barrels previously used to age gin. Complex with an intense citrus finish. Holy Mountain did its collaboration beer with Jing-A and it also had a punchy citrus character (thank you, kumquats) and a slight anise / licorice smell (I’m told that’s due to the yeast). 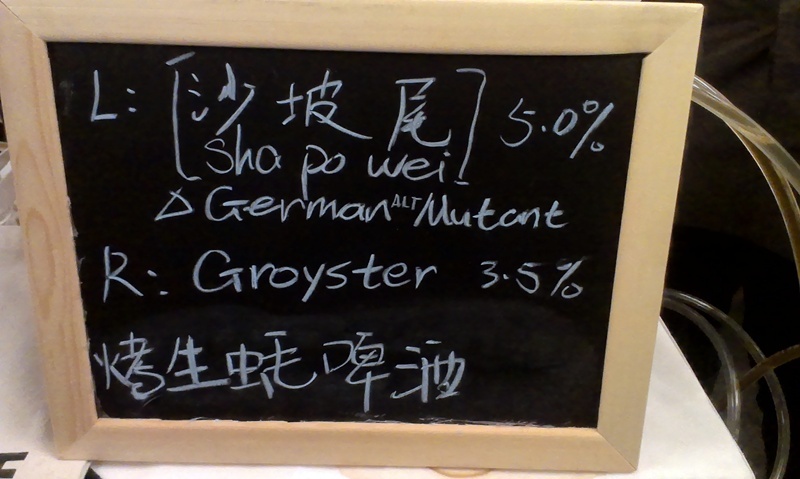 Fat Fat Beer Horse (Xiamen): The Croyster is a mild wheat beer that leverages (baked?) oyster shells to provide more minerality. Very nice. 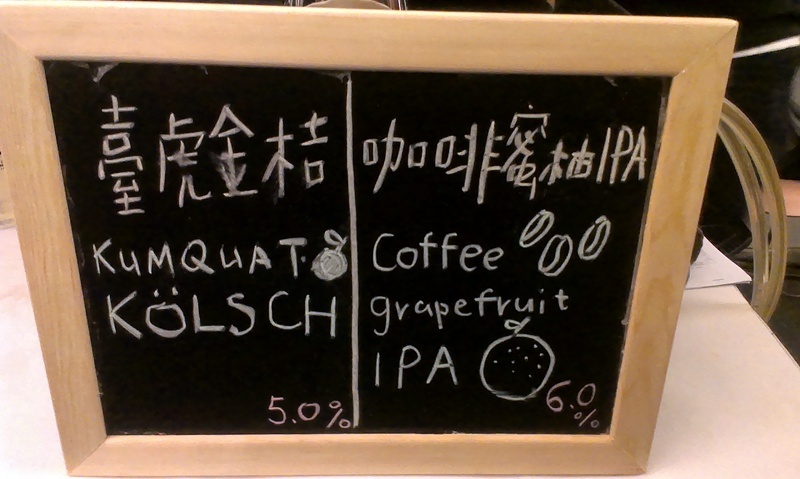 Bubble Lab (Wuhan): Mosaic single hop IPA had a bright tropical fruit edge. I also liked the fresh pilsener called Happy Little Cloud by Cloudburst (Seattle). 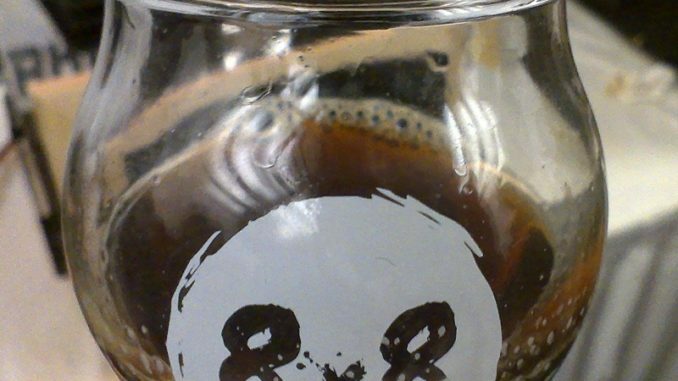 But their collaboration beer, Bubble in the Beard, was too… salty? I think that’s what my notes say! Taihu (Taipei). They poured a subtle kumquat-flavored Grolsch as well as a coffee grapefruit IPA that gets my vote as best breakfast in a glass. 10 Barrel (Bend, Oregon): The Cherry Porter combined a tart fruity blast and rich body. Cherry liqueur meets chocolate. The oddest beer I had came from N Beer (Beijing), a dubbel that included thyme and Sichuan peppercorn and was aged in Spanish wine barrels. Intriguing. 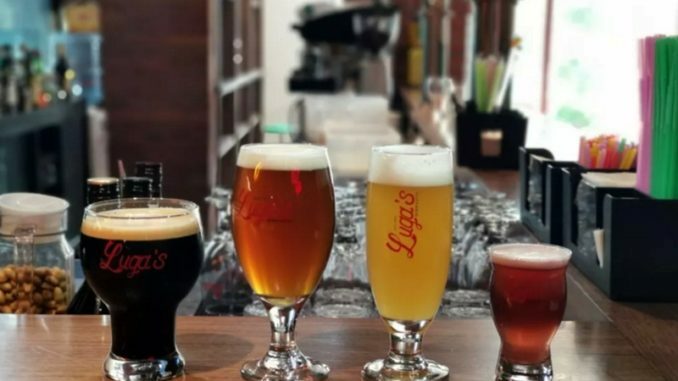 As I finish writing this, it seems I liked more beers than I thought, with the collaboration beers most likely to land in the love-it-or-hate-it zone. 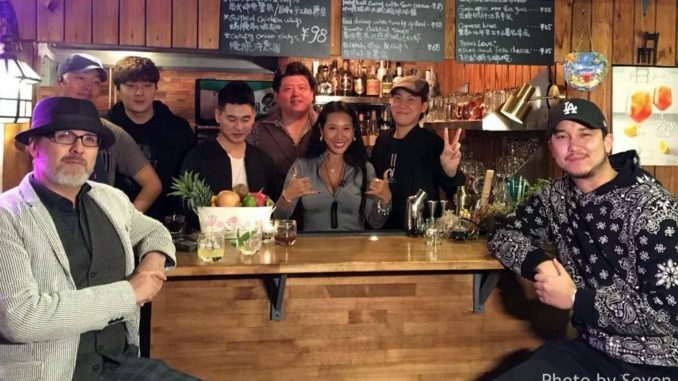 Kudos to Jing-A for organizing this event: so much can go wrong when dealing with this many beer producers from this many cities. A partnership or two could go sour. 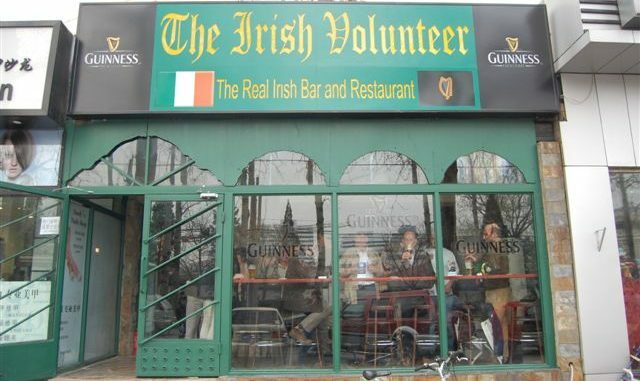 The partners’ beers, or even partners themselves, might not arrive on time. There could be a last-minute venue issue with the powers that be. Jing-A put a great deal on the line and, as best I could tell, pulled it off as smooth as Guinness Black Velvet Oatmeal Vanilla Stout.